If you are living in the US and you are interested in sports betting, you definitely want to know more about the Rivers Sports. In this review, we will cover the latest news about the Rivers Casino Sportsbook and our expectation of its online platform. As we are writing this review, this brand is offering bets from their physical venue within the existing Rivers Casino in Pittsburgh. The recent opening of this sportsbook caused a lot of media attention. Can We Claim the Rivers Casino Promo Code? What Is the Current Status of Rivers Sports? Since the Rivers Sports online platform is not active yet, we do not have the Rivers Casino promo code. This will probably change soon and we will provide you with more information. Once they start offering online bets, we will probably see some kind of welcome bonus. This bonus is most likely going to be activated with the Rivers Casino promo code. At the moment, bettors can enjoy sports betting at this operator only if they visit their venue in Pittsburgh. This bookie is operating as part of their casino building. There are around 10 large TVs, on which you can watch live games. This is a great way to improve your betting experience. The Rivers Casino Sportsbook can change their working schedule. Make sure to check their website for the latest info on this topic. On their current Rivers Sports page, users can sign up if they want to receive the latest news from this brand. 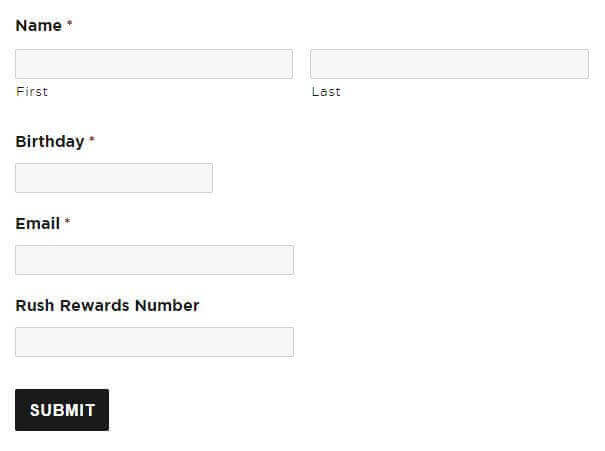 Naturally, this signup form is going to get a bit more complex when they include online sports betting into their offers. If we take a look at their current Rivers Casino Sportsbook page, we can see that they are offering different sports categories. We are also hoping to see dedicated mobile apps for both Android and iOS devices. Online users like to bet on smartphones and tablets. It makes sense for an operator like the Rivers Casino Sportsbook to start offering mobile betting services as well. We will know more details on these features as the launch date approaches. Sportsbook operators like Rivers Sports usually give their customers a lot of options when it comes to contacting their customer support team. Issues can come up on different features. For example, you might need some more information about the Rivers Casino promo code or some other service. We are hoping to see a large FAQ section along with the contact information and working hours of their support team. These should be easy to find right on the site. FAQ section is especially important for the bettors. It can help them solve their problems quickly, without waiting for the support team to give them an answer. Players will probably see various payment services available for depositing and withdrawing funds at this operator. Some of the most popular payment services in the US will probably be given as payment options when a customer decides to make a transaction. We might see Visa, MasterCard, Neteller, Paysafecard, etc. This is very important since online bettors like to have a lot of flexibility when it comes to real money transactions. We will also probably see some limitations to the amounts we can deposit and withdraw since that is a common security practice in this industry. Yet, we need to wait for this online betting platform to go live before we can make any more assumptions on this topic. There are a lot of expectations from this sportsbook and their online betting platform. If you decide that you want to be among their first online customers, stay tuned. We will update all the important information about their different features including the launch date and the potential welcome bonus. This is something you probably do not want to miss out. In the meantime, feel free to go through our other reviews and see what offers are available from other operators on the market.